Our Cemetery Terror Beverage Napkins will give your Halloween party table some unearthly flair. 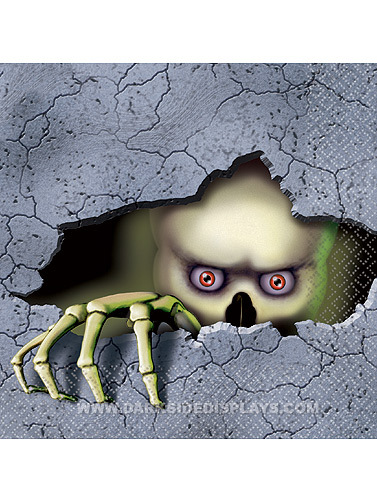 2 Ply paper napkins features a skull peering in from a hole in a wall. Cemetery Beverage Napkins measure 5" x 5". 16 ct.